“Where You From? What You Be About?” was a common saying growing up in disenfranchised communities in Chicago during the 1980's. Both the gangs and the police would stop you and pose these same interrogating questions. As a youth, one had to navigate the streets knowing how to be clever and careful in answering these questions. “Where you from?” was asking what neighborhood you lived in and your response would give them an assumption of “What You Be About” or what gang you may be in. The gang culture of claiming “your” neighborhood, causing community divisions, still exists in Chicago today. “Where You From? 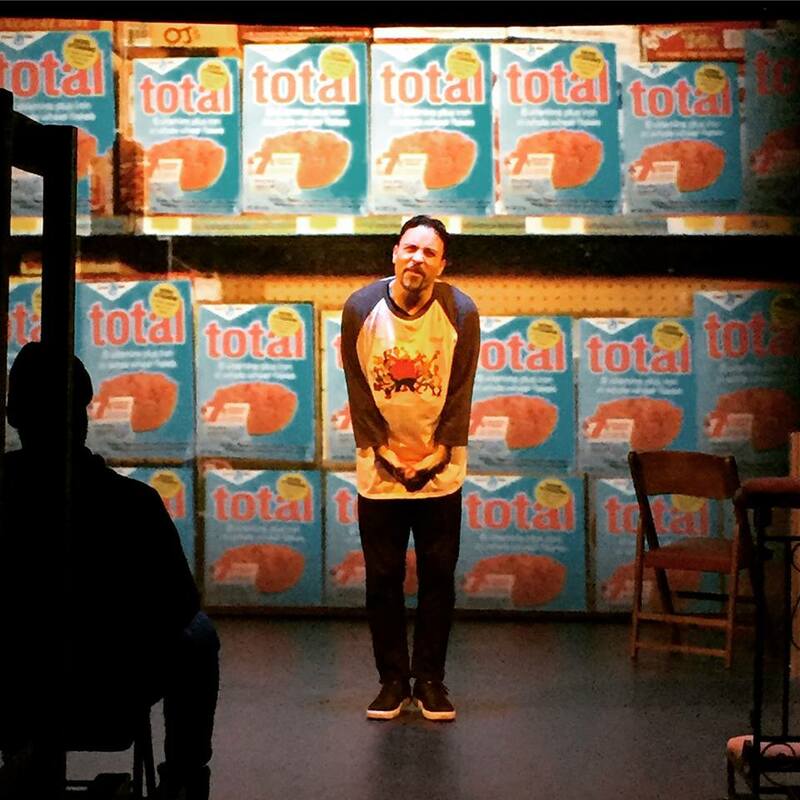 What You Be About?” is an autobiographical solo play set in the historically Puerto Rican neighborhood of Humboldt Park, Chicago. Seamlessly moving from the past to present, “Where You From? What You Be About?” tells a story of how one man and his family reconciles the influences and subsequent death of a family member due to gun and gang violence. A cousin’s funeral becomes the catalyst for confronting a buried truth, for facing the effects of growing up surrounded by poverty, violence, and the need for healing. This transformational journey is an interdisciplinary solo play that includes spoken word, video projections, and a live DJ. Recommended for ages 12+. I will facilitate 2 hour workshops called Healing Circle that will cover themes from the play, inviting ideas and strategies needed for community building, healing, and self-care. As an experienced teaching artist, I want to give a space for youth and adults to share their personal experiences and build paths toward healing. The Healing Circle workshops will be offered to youth and adults in partnership with community organizations. This will be an opportunity for people to continue the dialogue needed for creating peace in their communities. If you're an organization that wishes to partner and host a Healing Circle, please contact me. EDWARD TORRES who recently directed Native Gardens at The Old Globe Theatre in San Diego. La Canción by Candido Tirado at Repertorio Español in NYC. Macbeth for The Public Theatre's Mobile Shakespeare Unit. Previously, he directed the California premiere of Water by the Spoonful at the Old Globe Theatre and the world premiere of Quiara Alegría Hudes’s The Happiest Song Plays Last for Goodman Theatre. He directed the world premiere of Kristoffer Diaz’s The Elaborate Entrance of Chad Deity at Victory Gardens Theater (produced in association with Teatro Vista), which was named Best Play of 2009 by the Chicago Tribune, Chicago Sun-Times and Time Out Chicago, was a finalist for the Pulitzer Prize and earned Joseph Jefferson Awards for Best Production and Best Director. He also directed subsequent productions Off-Broadway at Second Stage Theatre (2011 Lucille Lortel Award for Outstanding Play and Obie Award for Best New American Play) and at Geffen Playhouse to critical acclaim. Torres has been a producer for 18 years and is the cofounder and former artistic director of Teatro Vista. He was the recipient of a 2010 Arts Artist Award and was featured as guest director at the 2011 Eugene O’Neill Theater Center National Playwrights Conference. Torres has a B.A. in Theatre from Roosevelt University and an M.F.A. in film from Columbia College Chicago. He served on the Illinois Arts Council and on the National Endowment for the Arts Theater Panel (2005-07) (2013) and the MAP Fund Theatre Panel (2008). 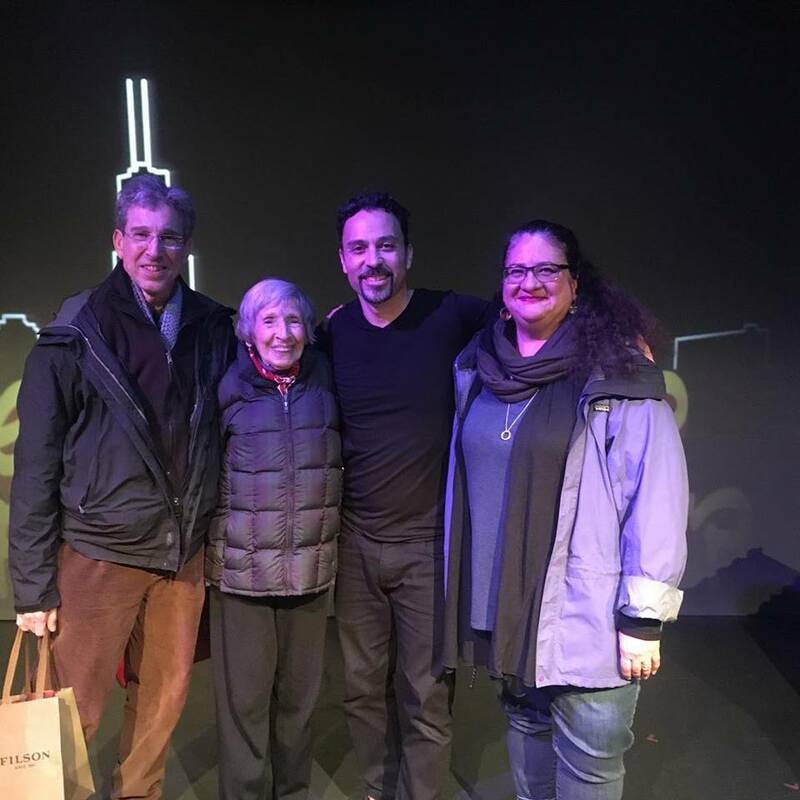 Carmen Rivera -Playwright of La Gringa, La Caida de Rafael Trujillo says, "THANK YOU!! For such a beautiful night at the theatre!!! The evening was so moving and healing ..... I feel like I was cleansed... you have created a communal catharsis ...Vaya!!!" ​Candido Tirado -Playwright of La Canción, Fish Men says. "This piece is ultimately about healing and the power of telling your own story. I highly recommend it if you like to have a healing transformative time in the theater. Eddie Torres, who also comes from the same background as Eric, directed it to perfection! And there's a lot of House Music. If you're into that sort of thing. You also get to know what the title means." 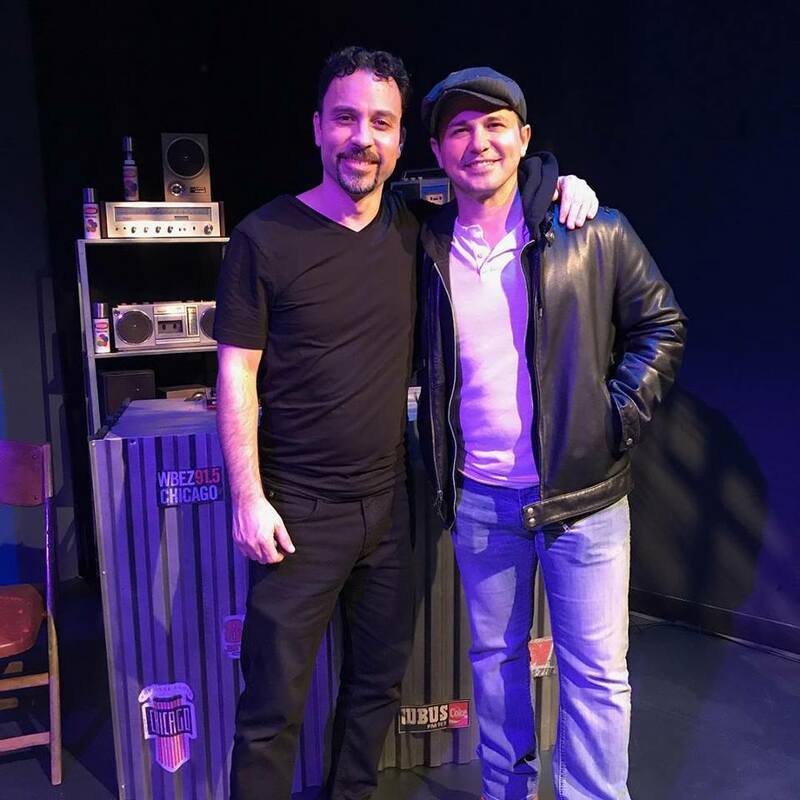 ​Freddy Rodriguez (actor currently in CBS tv series Bull, Six Feet Under, Planet Terror) said, "Check out this one man show #WhereYouFromWhatYouBeAbout. Grew up in the same neighborhood, same era. Hit a deep, personal nerve 4 me. Eric was able 2 capture the anxiety, volatility & fun of this time, while weaving it all together to tell a compelling story." ​Jaime Estades - Playwright of Five Session, CUNY Professor says, "Superb writing and acting by Eric! And great direction by Eddie Torres. A must see show by anyone with a heart and social conscious. Don't miss it!" ​Meropi Peponides -Co-founder of Radical Evolution says, "It's powerful, funny and thoughtful!" Yadira De LaRiva -Solo Performance Artist of One Journey says. "I laughed, cried and took much needed deep breaths with the audience. It's truly a good experience. Go see it!" 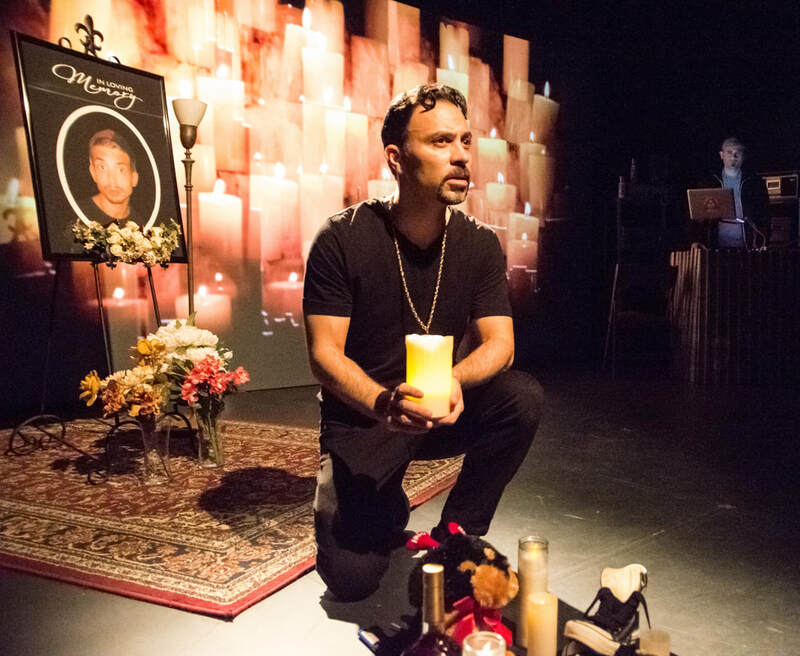 Marco Antonio Rodriguez -Actor and playwright of En El Nombre de Salomé says, "Funny, deeply heartbreaking and full of love. Beautifully directed by Eddie Torres, this piece about losing your way and finding your way back to inner peace shows off Eric Aviles’ many wonderful talents and needs to be seen, heard and experienced. BRAVO to the entire production team!" 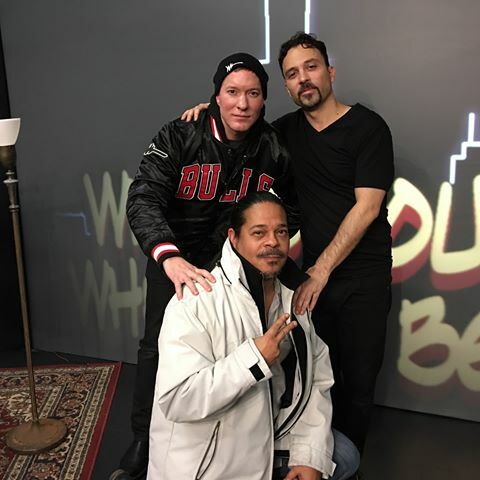 Joseph Sikora a Chicago native who play's "Tommy" in STARZ series POWER shared, "With truth, compassion, brutal honesty Eric Avilés brings to life what it means to become a man -on your own terms -growing up in the hood"
-Migdalia Cruz, playwright and survivor of the South Bronx circa 1970. Here with her family Jim and Edith Kent. These are what the youth are saying about the play. "to be honest we all thought that it was going to be boring but you surprised me. I loved the play because we connected to that play." ​"You touched hearts that day, you made peoples knees wobble to the point they wanted to cry. I cried." "I don't want to pursue theater but you inspired my brain to think of theater as way of advocacy. I want to make people safe, touch hearts like you did"
"It (the play) reminded me of my past and the things that I've went through". ​​Several years ago, I received a call from my aunt in the middle of the night. An unidentified assailant with an automatic pistol killed her son, my cousin. It was a gang related incident. At the funeral, his casket was decorated with mementos of the gang he was part of. I began to think about my past; when I was involved in a gang, and how fortunate I was to get out of it. It was hard on my family to lose a young loved one due to gang violence. I thought of all the youth I’ve worked with in marginalized communities in schools and in prisons for the past twenty years. As an artist and educator I felt an urgency to create a play to address the issues of poverty, racism, and the need for positive transformation for our young people. The idea that a young person can strive to be whoever they want to be seems a far fetch reality for many youth of color who grow up in impoverished homes and communities. Growing economic inequality is continually pushing more youth to find a hustle in the streets to make ends meet. Poverty perpetuates crime and violence. I wrote “Where You From? What You Be About?” to address the symptoms and the complex issue of gun and gang violence. 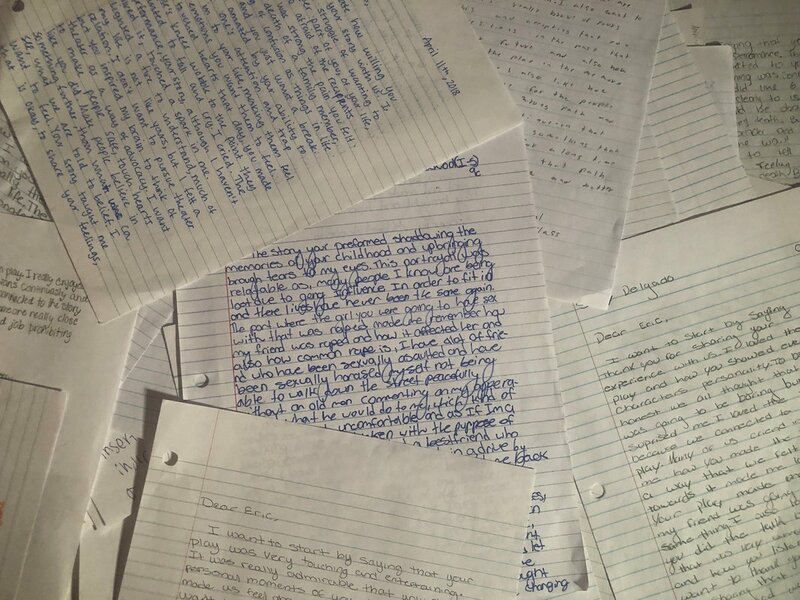 It’s important to share a story that not all youth are completely lost. There are many impoverished youth who are seeking a better way of living. Change is possible. I want to address the “how do we help.” How do communities come together to help our youth? How do we create peace in marginalized communities? ​Funding has been made possible by the Puffin Foundation Ltd.